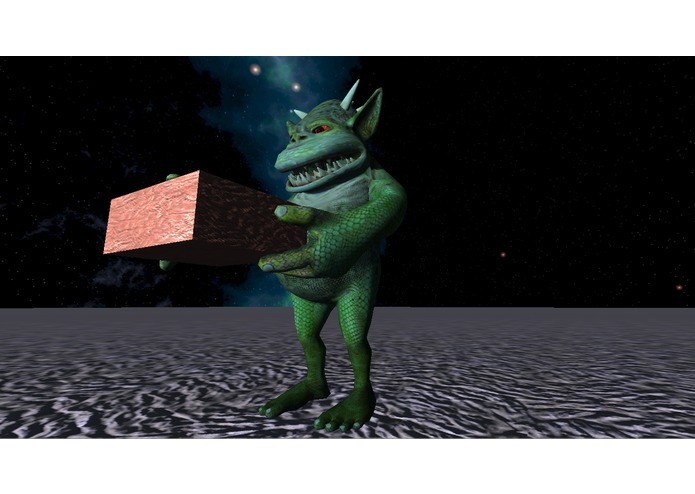 Our VR experience "A most peculiar dream" is an interactive journey through a dream. 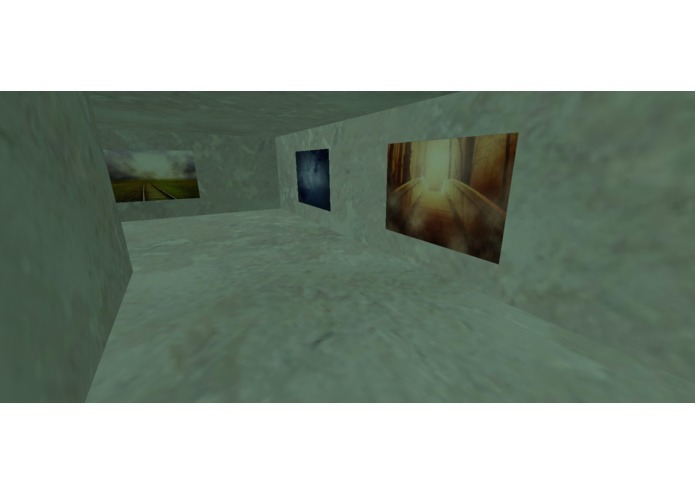 It features a full cycle starting from falling asleep, through multiple dream environments, to waking up. 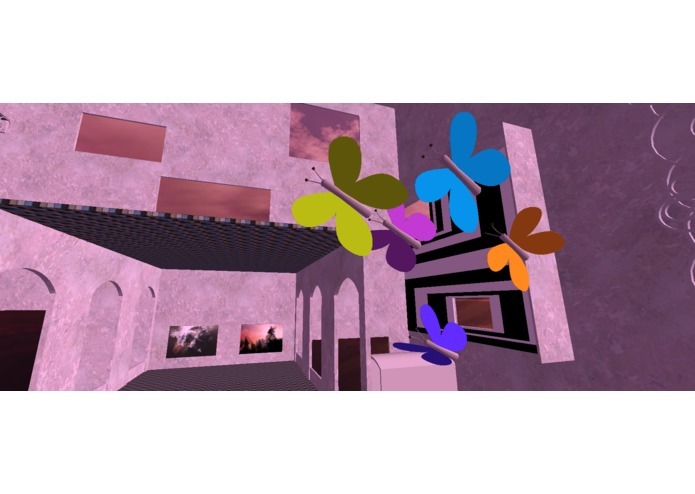 Our goal is to create a pleasant immersive experience, attracting a broad audience to appreciate the power of VR by exploring and interacting with strangely beautiful and captivating environments. 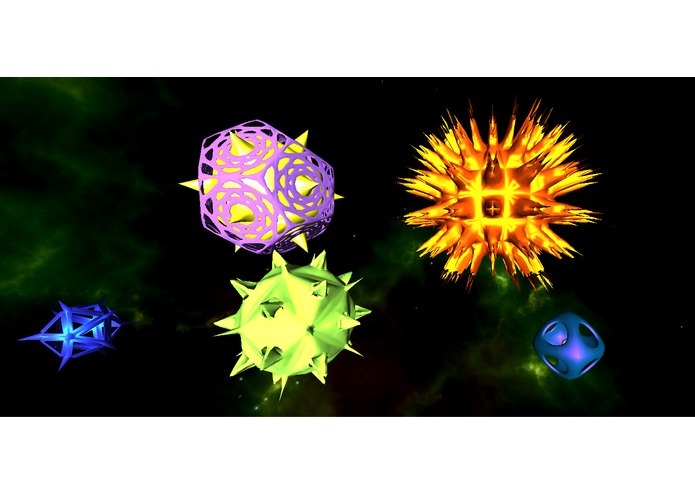 It is unique in that it attempts to create an immersive experience while completely breaking the boundaries of the known physical world, taking the user into extraordinary and exceptional places and exposing their unique and entertaining laws and logic. We chose this setting since it offers the artistic freedom to explore the full capabilities of VR without being too restricted by physical laws. We see the advantages of the experience over a game in that the main focus is not the completion of a task but purely the exploration of the environment. 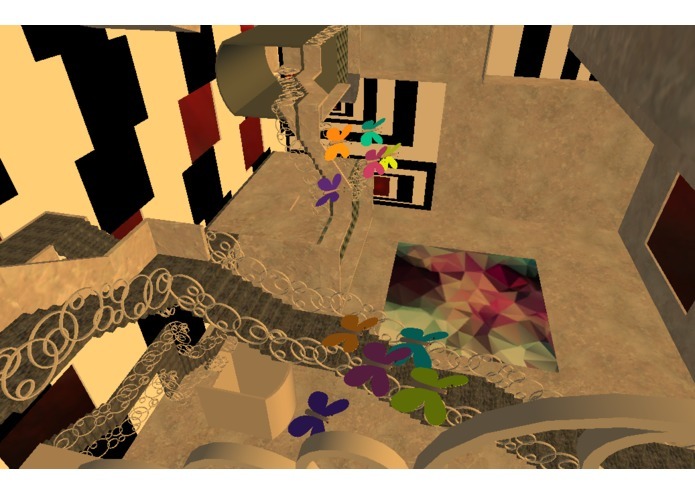 The VR experience should convey a sense of participation by allowing the user to freely roam and interact with the environment full of abstractions, illusions, and user-triggered actions. The experience starts with the user falling asleep, and carries the user through a series of dream environments. 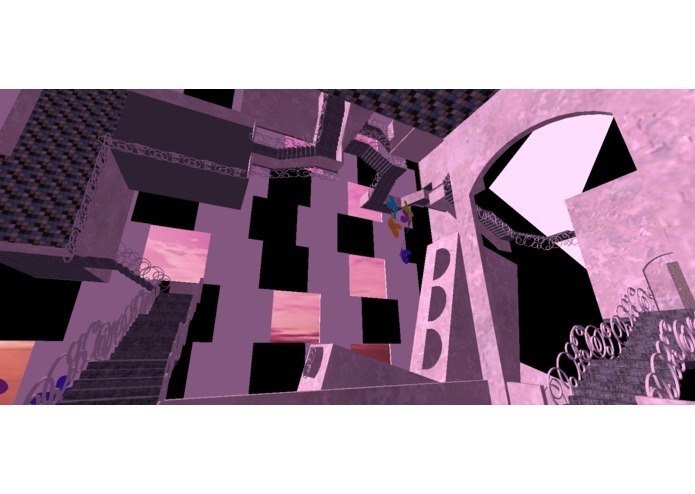 The user explores the fantasy worlds (through a first person perspective) by floating (or walking) and interacting with elements of the scenes, either by using the touchpad or head motion. 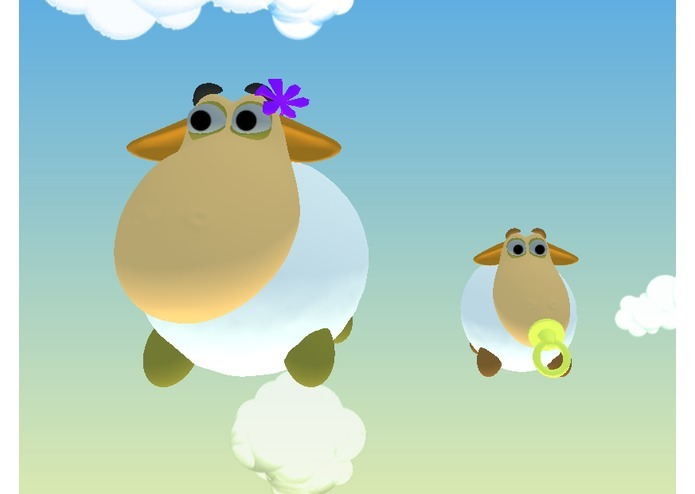 Description: The user is placed into a cozy world, enjoying the fluffy sheep roaming all around, while "falling asleep". (Disclaimer: Counting sheep can lead to an onset of sleepiness.) 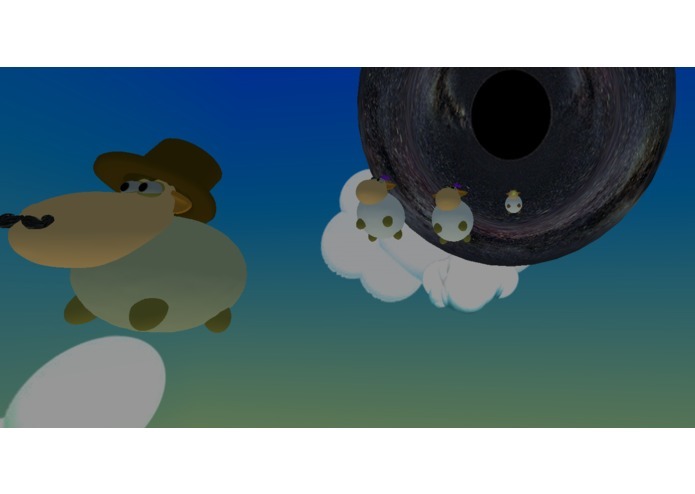 To prevent the user from actually falling asleep, a black hole appears in a dramatic shift and scoops up the sheep and the user, transporting them into an abstract universe. 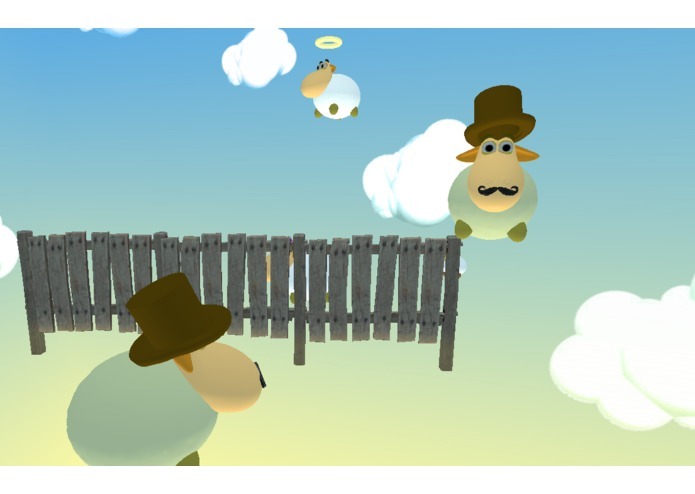 Interesting bits: The idea is to keep the user engaged at all times by making the sheep act randomly, but at the same time, always presenting an interesting and lively scene in the user's field of vision. Description: After the happy sheep world... a black hole! 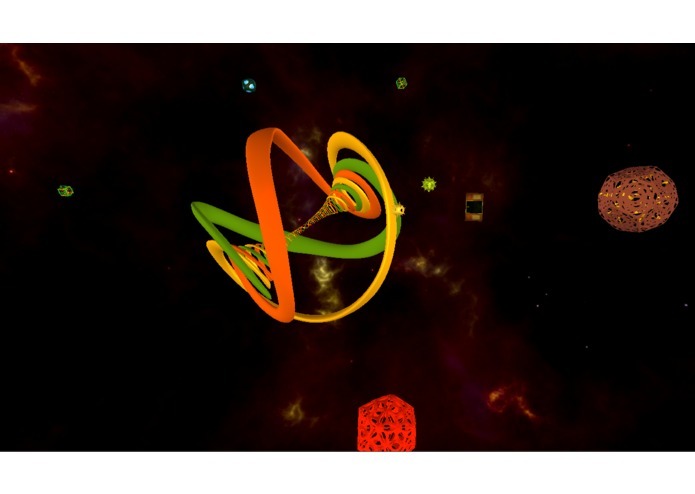 The user is thrown into a nebula inhabited by abstract geometric beings and can float freely and engage with the moving elements of the scene. Interesting bit: In this world we attempt to create immersion by focusing on the birth and movement of the abstract celestial objects in the user's field of vision. Though randomly initialized, they always interact with the user and between each other - bouncing and dissolving. Also, noticeable is the change of colors of the gas within the nebula as a reaction to user's movements. 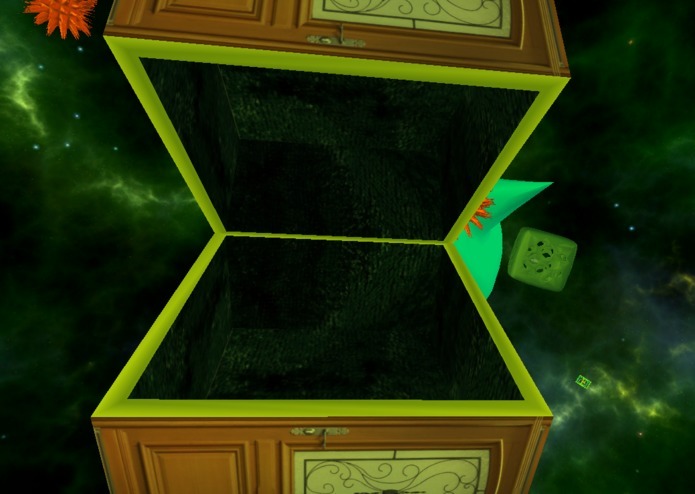 Description: After being captured by a giant men-eating cube, the user is transported into an illusion house. 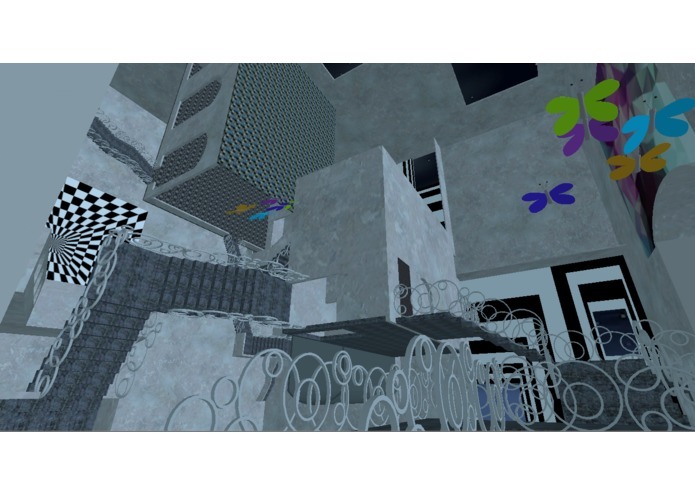 The user can explore the multi-layered house and follow a path leading through multiple doors. With each passage through a door, the gravity in the house changes, as well as the outer scenery adapt accordingly. Interesting bit: We got inspired by Escher's optical illusions and created a our own model of an illusion house from scratch. The model has multiple illusions, changing gravity, to allow the user walking everywhere and discovering the house. 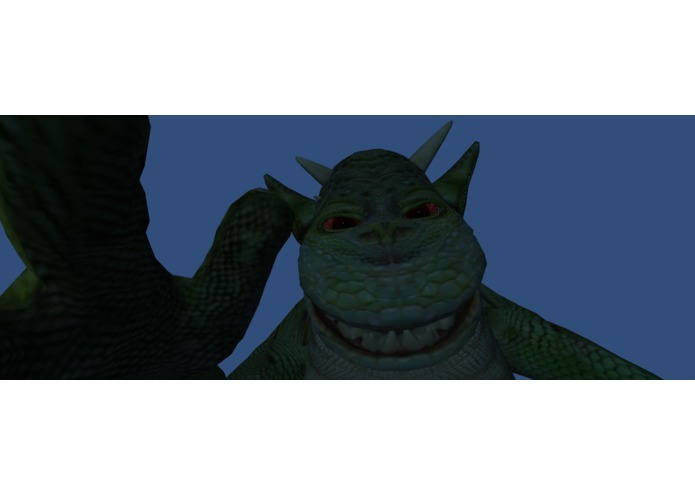 Additionally, we have several animations and a mist effect. Control: Looking around (via head motion) Interesting bit: The last scene was introduced to stir things up one last time, and to provide an ending befitting this dream. 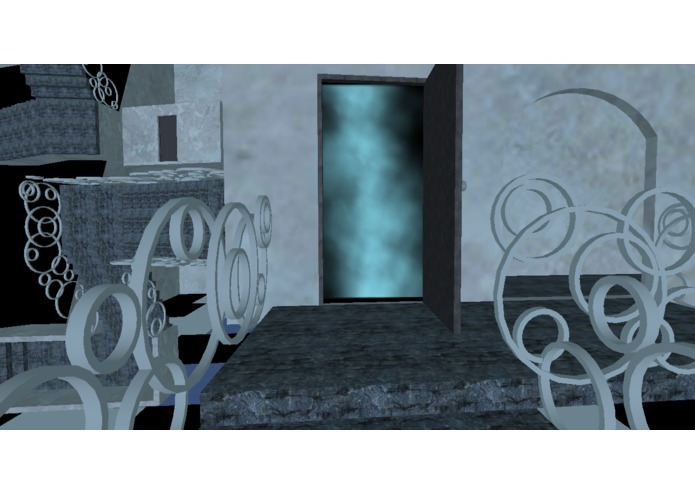 Through hints and guided interactions, the user reaches points of progression to the next environment (portals, though not in a literal sense). The dream is accomplished by the user finishing all environments and waking up. While the format of a dream gave us a lot of artistic freedom, the main challenge was to make sure that our unorthodox environments full of fantastic interactions pull the users in, keep them on their toes, and make them want to see more.